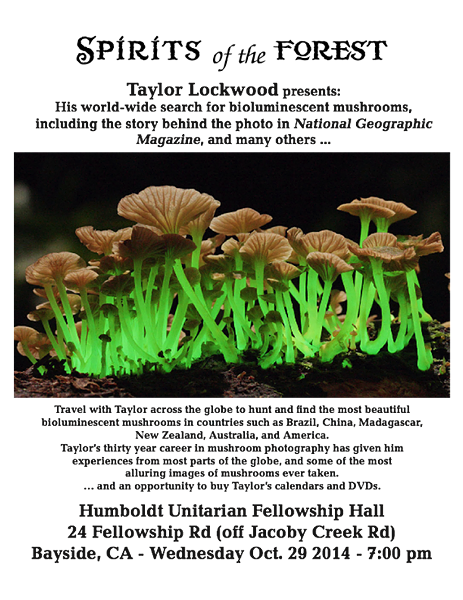 The Humboldt Bay Mycological society hosts a special presentation by fungal photographer Taylor Lockwood about his worldwide search for bioluminescent mushrooms. His work has appeared in the National Geographic Magazine, the New York Times, the Washington Post, and many other publications. Feel free to bring your mushrooms.